I have a general pattern of escalation in the complexity of the props I'm making. The exception to this was that during April I was making a ton of stuff for the Fallout game but it was mostly set dressing. So I've ended up with things like a Fallout Vault door, some crates, a Sheriff's noticeboard, odd looking ID badges and a fake external hard drive. All of which are essentially static, physical props even though a some of this has blinkenlights. To make up for this, my current project is a multi-part set of props that need to communicate across a LARP site. Which is a large hilly wood where it can take a good walk to get anywhere. This is challenging. Just think of the difficulties of getting good mobile phone signal in some places and that's a decades old industry with billions of pounds in development spent on it. 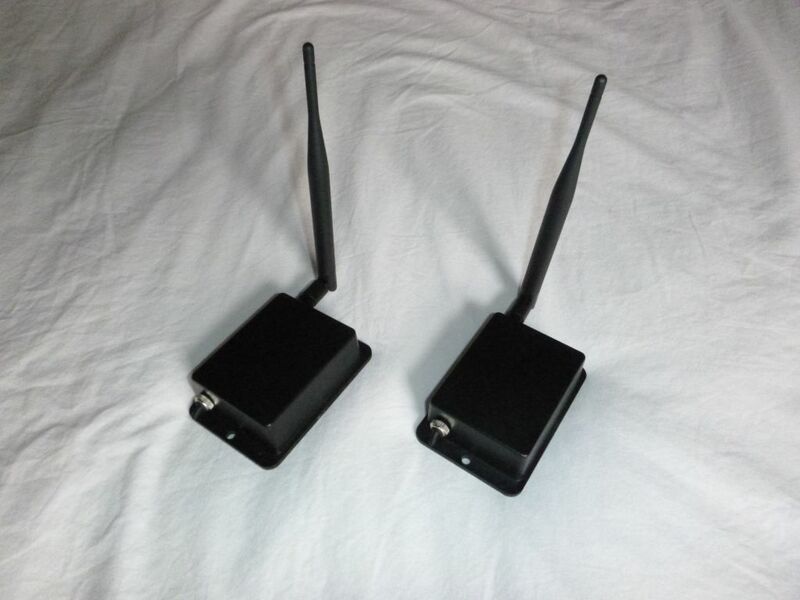 Or perhaps more relevantly, using walkie talkies on a LARP site and being able to contact each other reliably. My current approach is to use the ISF band serial radios released by Ciseco and I've posted here about using them before with their 'Internet of Things' protocol LLAP. The first stab at this was a failure. 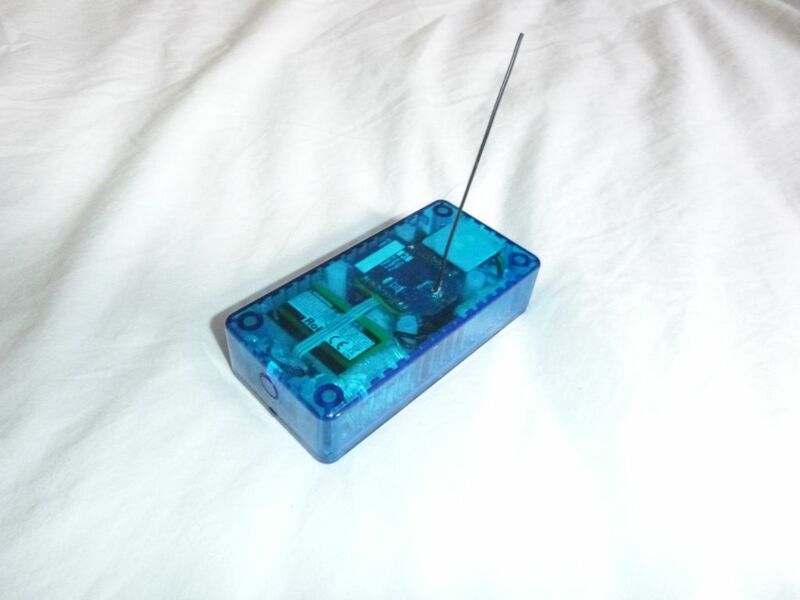 I made a 'GPS tag' to attach to an object so it can be found but it simply didn't have the range in a wood to be of any use. Now I've got a higher power radio in the tag, which necessitates a separate microcontroller, bigger batteries and a chunky voltage regulator which has made the device grow a bit, but not terribly. Also I've now made some 'relays' which are similar sets of components in anonymous boxes with better aerials that can relay data packets for other things. When it comes down to it, fitting a radio powerful enough to go from one end to the site to the other in small props is going to be problematic. Hence, relays. I've built two so far for testing, but plan to have four in the end. There are other bits to the set but I can't post them yet because, well spoilers sweetie. The introduction of relays made me abandon LLAP for communication, it simply doesn't facilitate this relaying of data and being ASCII based isn't good at passing floating point numbers around without losing precision, which is essential for what I'm building. So I've written my own vaguely self-organising mesh communication protocol that pushes data around in binary and implemented it as an Arduino library. We're testing this on Wednesday in a wood. No pressure then.